Tuesday night I attended the third annual McSilver Institute Awards ceremony held in the Fisher Building of the Brooklyn Academy of Music. Supporters gathered from various parts of the United States and from several other countries to celebrate another successful year fighting poverty in New York City and abroad and to honor five individuals for their committed work. The awards dinner was preceded by an all-day symposium on Monday that focused on poverty, trauma, and resilience. I did not attend the symposium but looking over the program, it struck me that they were trying to get at roots of what ails cities like Baltimore and Ferguson. Changes are needed in many American cities if we are to prevent future civil disturbances. Watching the violence made me think back to events in Los Angeles following the acquittal of police officers that were videotaped brutally beating Rodney King. While the looting and arson in Baltimore pales in comparison to what happened in Los Angeles, there are similarities. I remember leaving Los Angeles a week before the Rodney King verdict with a feeling that the city was a veritable powder keg waiting to explode. The acquittal of the police officers was the spark that set it off. Disadvantaged residents in Baltimore and other cities that saw their manufacturing base all but disappear have been largely ignored by governments that try to prop up their lives with minimum social assistance. For Baltimore, it was the unexplained death of Freddie Gray at the hands of police officers that was the proverbial straw that broke the camel’s back. It may comfort some to believe the vandalism, looting, and lawlessness witnessed in Baltimore was the actions of a few fringe kids. My guess is there were many more who wanted to join in the carnage but did not because they knew they had a parent at home much like the mother who publicly assaulted her son. Quick and prudent responses by Baltimore’s leadership prevented events from escalating. But the problems are deeply entrenched and will resurface again. Many cities facing entrenched poverty could use a McSilver Institute and visionary leaders like Director Mary McKay, Deputy Director Gary Parker, Benefactors Connie and Martin Silver, and New York University Silver School of Social Work Dean Lynn Videka. Through rigorous research and collaborations they have earned the confidence of city and state government officials and community residents by bringing the necessary people to various tables to address many of the intransigent problems facing New York City and its surrounding areas. They are finding solutions. They are improving the lives of many and bringing hope to people who often begin and end their days in despair. The work is demanding but the rewards are great as more young people find pathways to brighter futures. Both the Republicans and Democrats understand there is much pent-up anger in disadvantaged communities. Republicans are hard-pressed to find solutions because of their ideological insistence that individual effort is the only true way to success. Government assistance is an anathema because, in their way of thinking, it fosters dependency and erodes motivation. There is, of course, some truth to this, but when does personal responsibility begin? At what age are children to be left to their own self-development without the support of family or external assistance and be expected to escape the suffocating pathology that surrounds them? I have no idea what progressives and Democrats are thinking. These realities become more concretized as economic inequality increases. There is no way to control the greed of the rich. They are competing among themselves to see who will die with the most money in the bank. When the Supreme Court decided corporations are individuals and money is speech, it tilted our political system significantly in favor of the wealthy. Both political parties are beholden to these powerful forces. The McSilver Institute is doing a commendable job of empowering people and communities but until we begin moving toward a more egalitarian society, the research, education and jobs needed will not be available. Social workers must begin speaking truth to power. We must address the critical issues of the day—economic inequality, the need for campaign finance reform, the restructuring of our system of education. There is no incentive for the rich to change. They have the upper hand which they believe they have rightfully earned by their ability to generate wealth. The only power greater than the power of money is the power of an enlightened electorate. In the end, it’s not just about the policies, it’s also about the politics. The post McSilver Institute Reminds Us Baltimore is not Just About the Police appeared first on Congressional Research Institute for Social Work and Policy. 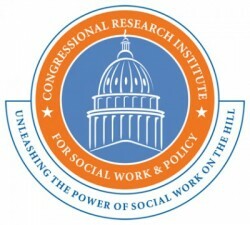 McSilver Institute Reminds Us Baltimore is not Just About the Police was originally published @ Congressional Research Institute for Social Work and Policy » Charles Lewis and has been syndicated with permission.